SQL Server together with other RDBMS, are the most memory consuming applications on our servers, and this is because, RDBMs usually cache objects into the memory to take advantage of the speed that physical memory offers. A significant part of sql server process memory has been paged out.This may result in a performance degradation. Duration: 0 seconds. Working set (KB): 1086400, committed (KB), memory Utilization: 50%. 1. Properly set SQL Servers’ Max Memory settings, by setting aside enough memory for the OS and other running Processes like Antivirus and Server Monitoring Software. NOTE: Enabling LPIM without fully Understanding how SQL Memory Works and without knowing how your DB Server Behaves specially if it’s in a Virtual Environment might give you negative effects. For this Post we will be focusing on LPIM. When using LPIM Windows cannot simply touch the memory space used by SQL Servers’ Buffer Pool, it is locked and cannot be paged. SQL Server does this by using Address Windowing Extensions (AWE). 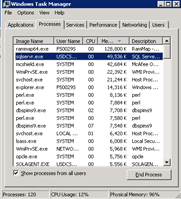 You can however use RamMap (A free RAM tool from Sysinternals: www.sysinternals.com). To view how much memory AWE is using. 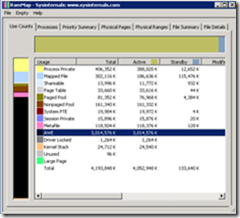 Or you can also use sys.dm_os_process_memory SQL Server Dynamic Management Views (DMV). Use Windows Group Policy tool (gpedit.msc) to enable this policy for the account used by SQL Server. You must be a system administrator to change this policy. 1. On the Start menu, click Run. In the Open box, type gpedit.msc. 2. On the Local Group Policy Editor console, expand Computer Configuration, and then expand Windows Settings. 3. Expand Security Settings, and then expand Local Policies. 4. Select the User Rights Assignment folder. 5. In the pane, double-click Lock pages in memory. 6. In the Local Security Setting – Lock pages in memory dialog box, click Add User or Group. 7. In the Select Users, Service Accounts, or Groups dialog box, add an account with privileges to run sqlservr.exe. 8. Log out and then log back in for this change to take effect. Note about SQL Server 2012 Standard Edition (64-bit): Microsoft SQL Server 2012 Standard Edition (64-bit) does not require you to enable any trace flag to allow SQL Server use locked pages for the Buffer pool when the SQL Server service account is granted the Lock Pages in Memory security privilege. NOTE: A non zero Locked_pages_allocation_KB means Locked pages in memory is enabled.